Why switch Medicare Supplement plans when my current plan covers everything? 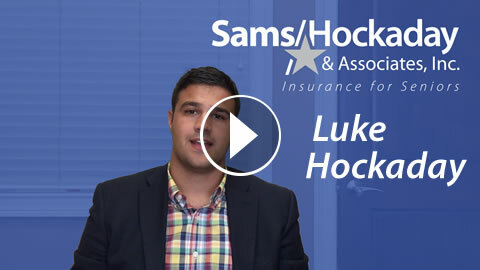 Hey it's Luke Hockaday here, with Sams/Hockaday, and a question I get asked a lot is "Why would I change my Medicare Supplement when they have picked up everything I've had done in the past?" This is a very understandable question and I know change can be very difficult for all of us sometimes, but have peace of mind knowing that all Medicare Supplements are standardized. 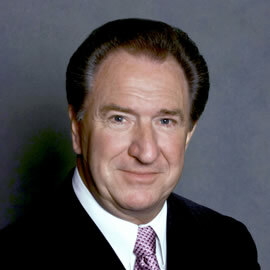 So a "Plan F" with one company must by law, be the same as a "Plan F" with any other company. Same with a Plan G, N, and all the rest. With the example used today, we're talking about Plan F, and with a Plan F Medicare Supplement, you're not going to get deductibles, no co-pays, no restrictions on where you can go. So whatever Medicare approves, your Plan F Supplement is going to pick up the rest. Knowing that, why wouldn't you get the one that is the least expensive? Here at Sams/Hockaday we're a brokerage, and what that means is we offer about 15 different companies, and so basically we can do all the shopping for you, and make this difficult process very easy. So hopefully this help guys, and again this is Luke Hockaday at Sams/Hockaday. 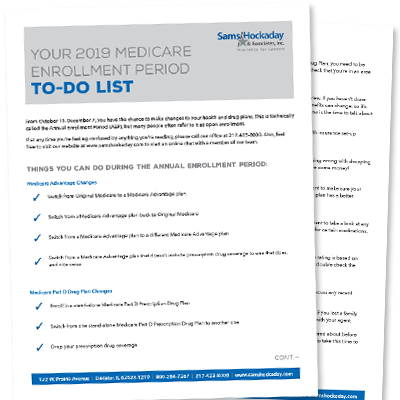 This easy-to-understand list for the Annual Enrollment Period will help you save money, ensure your benefits are the best they can be, check that your doctors are still in network, & more. Have kept us informed of any changes that may change our polices. Have always answered any we questions we may have. Have respoonded via email on any questions we have emailed to you. Keep up the good work!